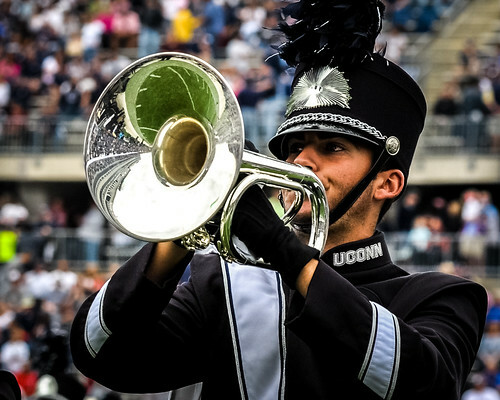 On Sunday October 16th, the UCMB took part in the Homecoming Parade. 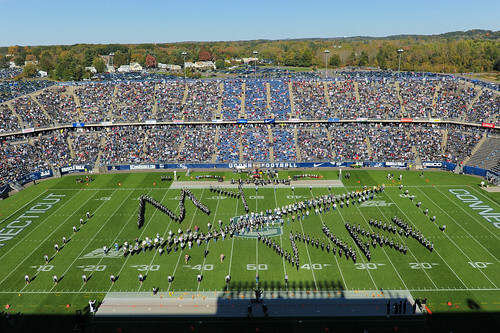 This year’s Homecoming theme was “Music In Storrs.” Following the Parade at noon, UCMB Alumni were invited to attend “UCMB History Day!” Attendees got to see the Pride of Connecticut from its humble beginnings complete with a showcase of performance videos, pictures, stories from alumni, competitions/games, and free food. One of the highlights of the event was the history trivia quiz. 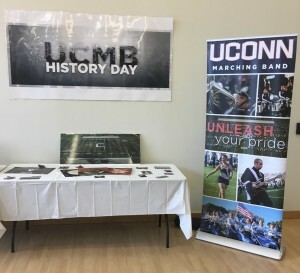 There were also posters of photos and facts about the UCMB organized by decade. 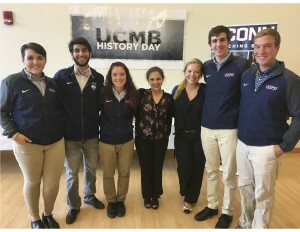 The event was put together thanks to our Band Council Alumni Liaison, Emilyn Tuomala, our Historian, Christine Goss, and our freshman reps. We are so grateful for everyone who came to check out the event. We hope the tradition of UCMB History Day will continue for years to come.